The African American woman was a beauty. At five-foot 7 inches, neatly tucked hair, smooth complexion and deep black eyes gave way to a wonderous smile. I placed my phone face down on the electronic reader. “Bobink,” sound the familiar signal while simultaneously lighting green. “Thank you sir,” Sheila replied. For Sheila, this common interaction probably plays hundreds time a day. In the several hours prior to my flight, I watched Sheila from my gate, interacting easily, with a level few could exhibit. In wake of burning hours and no salary, she continued to perform her job. Sheila is a TSA Agent. I’ve never met Sheila. More than likely, I will never see her again. In prior flights, this interaction would have been greeted with a warm simile and quick hello. Truthfully, TSA agents like Sheila would remain unnoticed. Yet today, I was in the ‘moment.’ I quickly grabbed my stuff, looked her in the eye, and complimented her for all her effort, even in spite of an ongoing government shutdown share all facets of legislatures willingly play chicken. I’m confident President Trump will never meet Shelia. I don’t believe he would care enough to go out of his way to engage her in any meaningful conversation. I presume Trump only revels in a game of win at all costs – never back down, never surrender. In Trump’s mind there’s only one path to this shutdown – it’s victory. Complete and unconditional surrender. Objectively looking, there are two wars. The White House have drawn battle lines on many fronts: internally, with the GOP and of course with new House leadership. Each war increases the number of victims, often termed as collateral damage. People become fractured. Friends become enemies. And battle hardened leaders must address a war never imagined, one of the heart and soul of America. Trump’s war can only be won through fortitude, unity, coherent messaging via Twitter and the willingness to fight. Shelia experiences a far different war. She’s not out for accountability. Neither does she search for blood. Her war involves keeping millions of travelers safe. Finding weapons, suspicious packages and other illegal items is a minute-by-minute battle, fought on the front lines in local airports. However, in the midst of this shutdown, she’s required to fight hunger as coworkers fight homelessness. Maybe she’s denying herself required medication. She forgoes an electric bill payment, a school payment, or a mortgage payment. The battle is on all fronts and extremely complex. 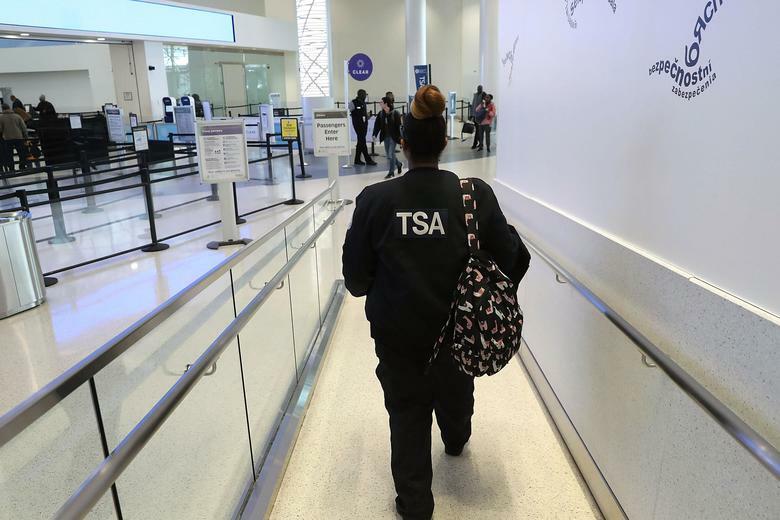 On January 11th, on the 21st day of the shutdown, TSA agents arrived at work with the painful reality that their biweekly paycheck would not arrive. Many government employees live paycheck to paycheck. Yet TSA agents, like many other government employees are required to work. And still, Sheila can smile. She treats every passenger with respect and dignity. Sheila is one of many selfless employees who are the heart and soul of America. They deserve better. America deserves better.